A 6 year old Star Wars fan was delighted to see these red velvet cups cake arrive in time for his party. Chewbacca, Darth Vadar, Yoda, C-3PO in his metallic glory and striking Stormtroopers showed up for the party, along with a pair of light sabres. 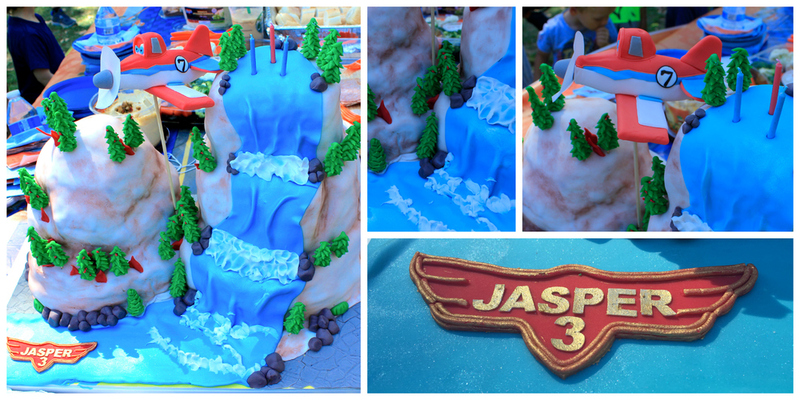 Jasper's obsession with all things 'Planes' inspired this cake. Big enough to feed 80 people, these two mountains and sparkling waterfall made a splash at his 3rd birthday party in the park. This super fun cake was filled with layers of moist chocolate cake, cherry filling and chocolate frosting. Both the children & adults alike enjoyed the flavor combination - luckily the park setting was the perfect place for all that chocolate fuelled energy to be burnt off. Most 4 year old boys can easily recite a list of their favorite superheroes. Batman is often at the top of this list. When Theo requested Batman, the idea of an old school batman design and the silhouette of Gotham City were too hard to pass. Needless to say Theo was thrilled with his cake and now calls the NY Cake Stylist his personal cake designer for ALL future cakes! Creating a pirate themed cake for two little girls was a no brainer. Layers of ocean, stripes and pirates treasure along with some favorite characters, this cake has everything a pirate could ask for, right down to the eye patch. 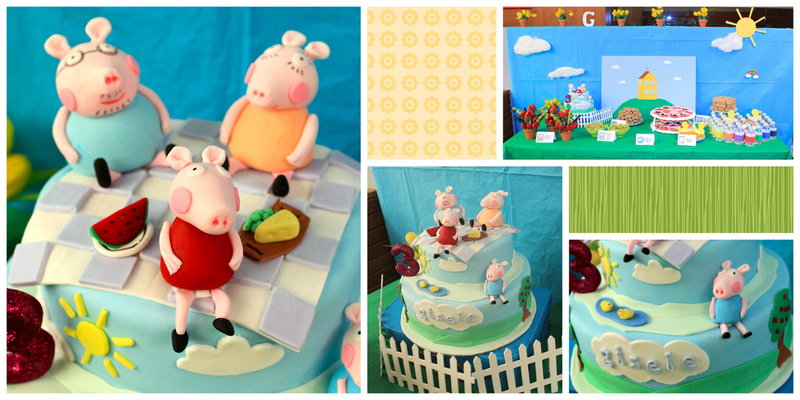 When a 3 year old asks for Peppa, you give said 3 year old a Peppa Pig cake! This coconut, lime and chocolate creation satisfied every guest! 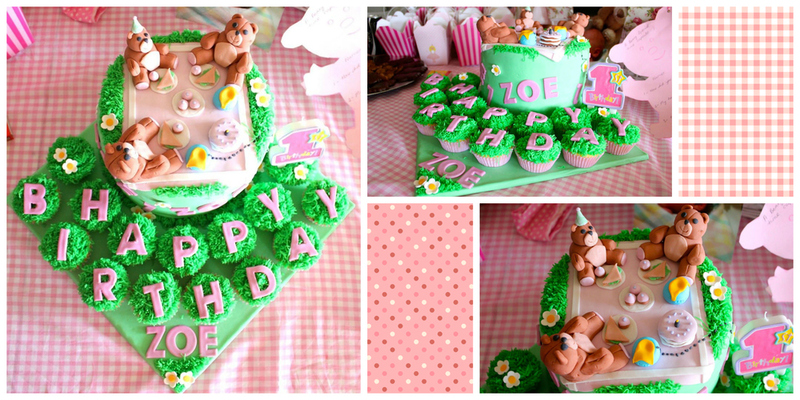 The perfect way to celebrate Zoe's birthday was with a teddy bear's picnic. Chocolate and caramel cake layers for the adults, vanilla cupcakes for the little ones. The perfect combination! What do you get when you cross a zebra and a leopard? 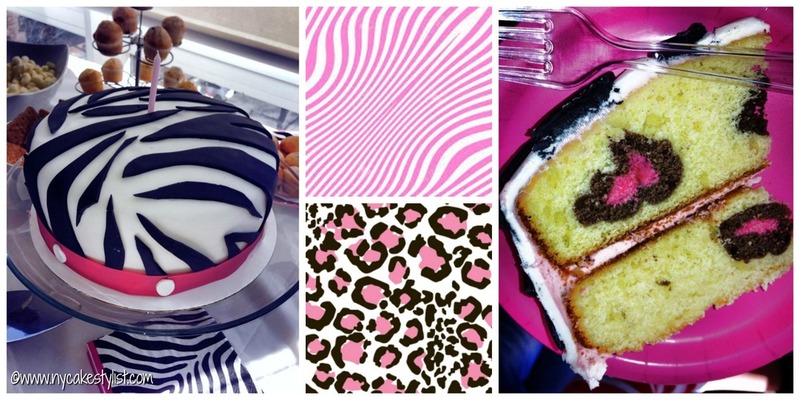 This super fun pink safari cake! Zebra on the outside and surprise! Leopard print on the inside. What more could a little lady ask for? !